We’ve been talking about the impact of weather on food price inflation for some time now, but if you’re looking for a comprehensive list of what’s happening in Asia, we’ve got it right here. Just when the inflation pressures were beginning to build due to stronger domestic and external demand, back-to-back crop failure events across many of the large food exporting as well as consuming countries pushed inflation up sharply. 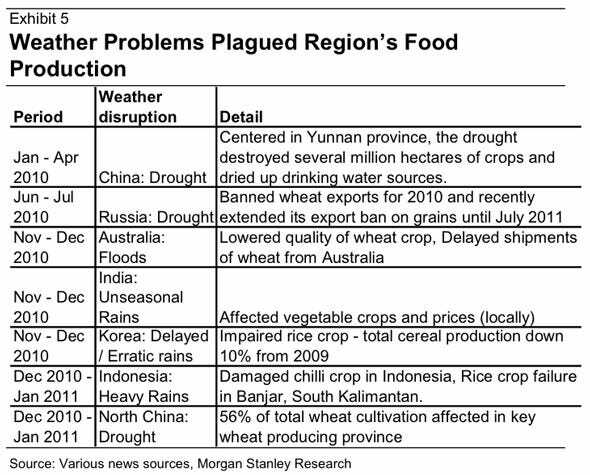 Many of the food exporting countries like Brazil, Argentina, Russia and US saw adverse weather circumstances. 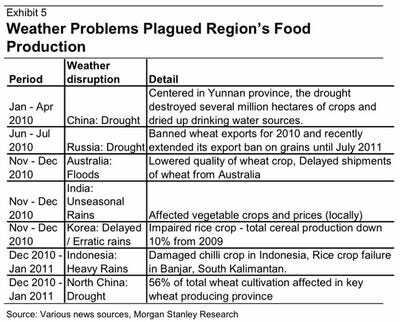 If an export ban, a massive drought, and heavy rains can’t impact the supply side of the food equation, what can?